The passion and pageantry of high school sports is what makes the prep game so appealing. Eight years into the experiment, the Anaheim Ducks are happy to say that a high school hockey league can flourish in Southern California. Now, the Los Angeles Kings are joining the fray. The organization is starting its own league, which will comprise eight teams in its inaugural season. Kings alumnus and broadcaster Jim Fox will serve as the league’s commissioner. He’s thrilled the Kings will be able to help kids and teens continue to play the game through their high school years. Fox called the high school league unique in that it’s the first time the Kings have offered a program that will not be teaching the game. The organization has made efforts to develop the game in the community through projects such as the “Lil’ Kings” program. 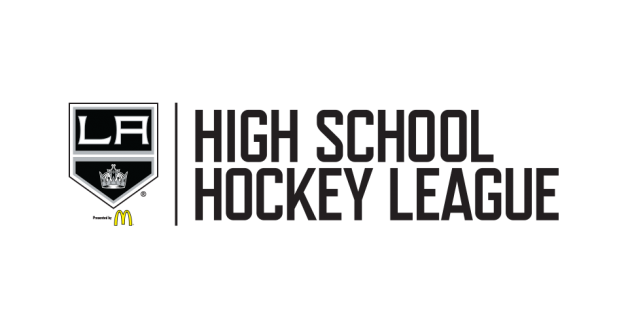 The league’s teams will be stationed from South Los Angeles County to Bakersfield in Kern County, providing opportunities for a wide range of young players within the team’s fan base to participate in hockey with their friends. Earlier this month, the Kings celebrated a momentous day for their high school hockey league when the club unveiled the jerseys for their original eight teams. This year, West Ranch High of Santa Clarita will be the only Pure team in the league (Pure rosters are those that are composed of student-athletes from a single school). Chris LeCornu will coach a very young and enthusiastic Wildcats roster in the team’s first campaign. “I’m really excited,” he said. “We’re striving to develop longevity in the program. As a kid growing up in California, LeCornu learned the game on roller blades. He moved to Vermont to face a higher level of competition on ice before playing collegiately for the University of Denver’s American Collegiate Hockey Association program. Now, California’s hockey prospects have more options they can turn to. Players were used to competing based off their age group. The establishment of high school hockey is another indicator of the game’s growing popularity in the state. Chris Crotty, the Kings’ director of hockey development, believes bringing the game to high schools provides additional benefits. The Kings have plans for expansion down the line. Crotty says the organization is targeting goals of four Pure teams for Season 2, and eventually, a 10-team, Pure varsity division. That West Ranch represents the only Pure team in the Kings’ league is just one of the similarities to the league started by the Ducks, who launched their high school hockey effort with one team in JSerra back in 2008. Crotty sees the two leagues working together for years to come.